BT today announced the completion of an innovative, secure and resilient wireless backbone network on behalf of DP World Antwerp for its Antwerp Gateway in Belgium, one of Europe’s busiest container terminals. The innovative solution is a vital part of DP World’s digital transformation of the terminal, which handles 2.5 million containers every year, 3000 trucks every day and almost 950 ships annually. It is designed to provide secure and resilient connectivity for not only the 900 people working at Antwerp Gateway but also the growing demands of connected devices. These will help DP World Antwerp to analyse and optimise processes and operations, such as the movement of vehicles around the terminal. DP World Antwerp evaluated a range of technologies before choosing BT’s solution based on Rajant Corporation’s mobile, scalable and highly reliable Kinetic Mesh®. This enables always-on communications so critical applications can be accessed in real-time in the most cost-effective way. 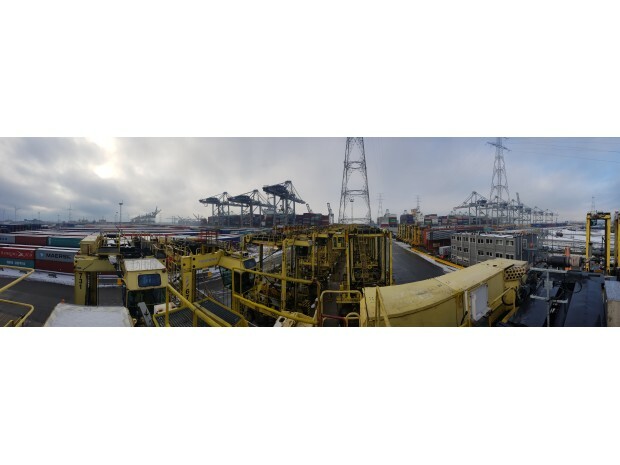 BT worked with DP World Antwerp on proof-of-concept trials to show that the technology could meet the stringent demands of terminal operations. Full deployment then followed. The solution provides DP World Antwerp with a flexible meshed wireless backbone network that offers security, resilience and high bandwidth. It dynamically adapts to accommodate connectivity for moving vehicles and overcomes obstacles within an ever-changing environment including the presence of containers or large ships. It also complies with radio frequency and industrial regulations governing use of wireless on the site.